Live. Believe. Worry a bit. : Vill ha, måst få! I mean, just look at it! 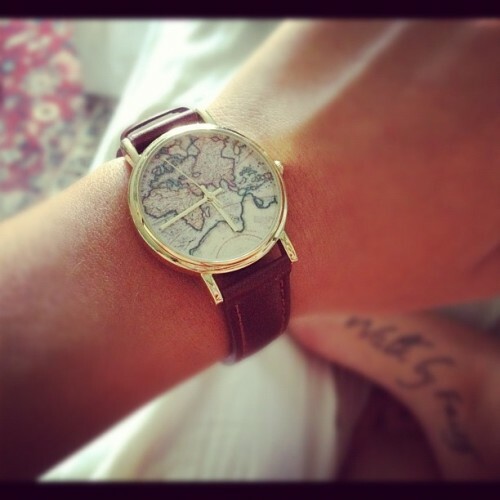 Has there ever been a more perfect watch (for me) in existence? I think not! Must have it!! 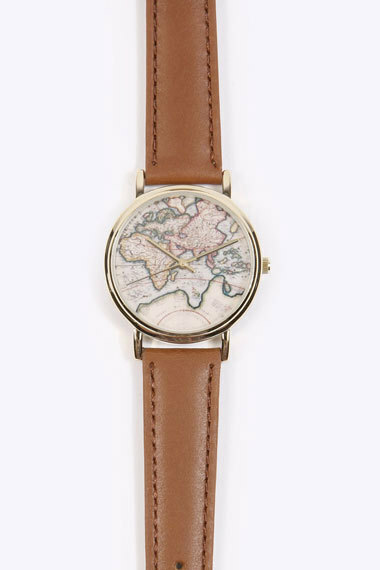 The watch is from Urban Outfitters, which sounded good, as they seem to have a campaign this month where they'll ship to Finland for only 4.95 or something. But then it turns out they've sold out. Oh no!! I simply must have that watch! Luckily, they still had it in stock on their US site. So I ended up paying nearly the same amount of money for shipping as I paid for the watch. But to be honest, I don't care. The watch is lovely, I've been looking for a new one anyway, and the price was quite reasonable. Sure, what I paid might not reflect the quality of it, but oh well.